Amy Gulick's luscious dessert recipe sees a rich chocolate custard topped with that quintessential Italian sauce – zabaione. This layered dessert brings together the silkiness of the fresh egg cream known as zabaione and the crunchy zing of Amaretto-flavoured cookie crumble. In its most traditional form, zabaione is made from egg yolk, sugar and Marsala, though versions using dessert wines such as Porto, Moscato, or Vin Santo are also common. Versatile zabaione has earned a firm standing in the realm of Italian desserts, among home cooks and professional pastry chefs alike. Whether layered in cakes or served simply accompanied by fresh summer berries, or topped with chocolate shavings or cocoa powder, zabaione is a delightful herald of spring and the season’s freshest eggs. Alongside zabaione here is another Italian classic, Amaretto, the name given to the liqueur—widely-known thanks to cocktails like the Amaretto Sour—as well as the popular Italian cookie. Amaretto cookies, small, round, and crunchy, are sometimes called amaretti. The cookie and the spirit feature frequently in traditional Italian desserts and derive their essential, slightly bitter flavour from bitter almonds. The word amaretto, in fact, comes from amaro, meaning bitter in Italian (and in this context indicating the group of spirits collectively known as ‘bitters’). Amaretto, however, which translates roughly to ‘little bitter,’ differs greatly from the amaro liquors in both taste and uses. The cocoa cream can be served alone in dessert cups or be used as a filling for beignets, éclairs, and more. The amounts indicated for zabaione will produce just enough to cover each serving with a thin layer of cream. 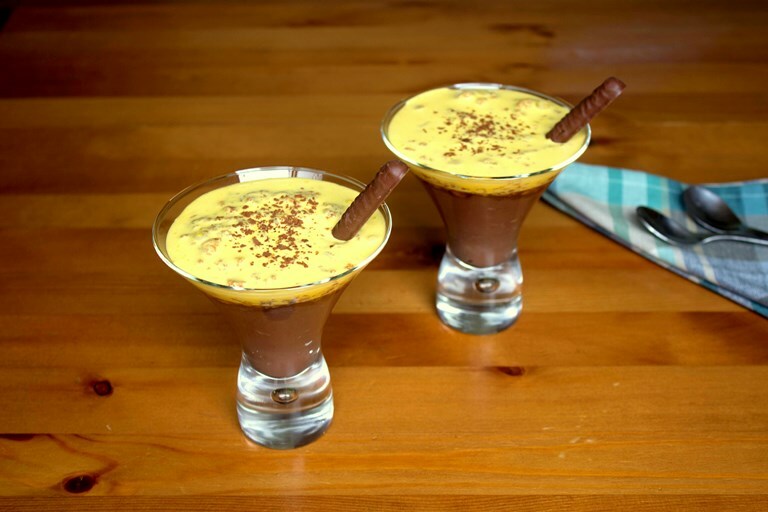 For a more generous serving, the zabaione recipe here can be doubled or tripled.